Ayurveda , the science of life, prevention and longevity is the oldest and most holistic medical system available on the planet today. It was placed in written form over 5,000 years ago in India, it was said to be a world medicine dealing with both body and the spirit. Before the advent of writing, the ancient wisdom of this healing system was a part of the spiritual tradition of the Sanatana Dharma (Universal Religion), or Vedic Religion. VedaVyasa, the famous sage, shaktavesha avatar of Vishnu, put into writing the complete knowledge of Ayurveda, along with the more directly spiritual insights of self realization into a body of scriptural literature called the Vedas and the Vedic literatures. There were originally four main books of spirituality, which included among other topics, health, astrology, spiritual business, government, army, poetry and spiritual living and behavior. These books are known as the four Vedas; Rik, Sama, Yajur and Atharva. The Rikeda, a compilation of verse on the nature of existence, is the oldest surviving book of any Indo-European language (3000 B.C.). The Rik Veda (also known as Rig Veda) refers to the cosmology known as Sankhya which lies at the base of both Ayurveda and Yoga, contains verses on the nature of health and disease, pathogenesis and principles of treatment. Among the Rik Veda are found discussions of the three dosas, Vayu. Pitta and Kapha, and the use of herbs to heal the diseases of the mind and body and to foster longevity. The Atharva Veda lists the eight divisions of Ayurveda: Internal Medicine, Surgery of Head and Neck, Opthamology and Otorinolaryngology, Surgery, Toxicology, Psychiatry, Pediatrics, V Gerontology or Science of Rejuvenation, and the Science of Fertility. The Vedic Sages took the passages from the Vedic Scriptures relating to Ayurveda and compiled separate books dealing only with Ayurveda. One of these books, called the Atreya Samhita is the oldest medical book in the world! The Vedic Brahmanas were not only priests performing religious rites and ceremonies, they also became Vaidyas (physicians of Ayurveda). The sage-physician-surgeons of the time were the same sages or seers, deeply devoted holy people, who saw health as an integral part of spiritual life. It is said that they received their training of Ayurveda through direct cognition during meditation. In other words, the knowledge of the use of various methods of healing, prevention, longevity and surgery came through Divine revelation; there was no guessing or testing and harming animals. These revelations were transcribed from the oral tradition into book form, interspersed with the other aspects of life and spirituality. What is fascinating is Ayurveda's use of herbs, foods, aromas, gems, colors, yoga, mantras, lifestyle and surgery. Consequently Ayurveda grew into a respected and widely used system of healing in India. Around 1500 B.C., Ayurveda was delineated into eight specific branches of medicine. There were two main schools of Ayurveda at that time. 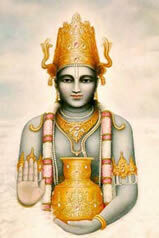 Atreya- the school of physicians, and Dhanvantari - the school of surgeons. These two schools made Ayurveda a more scientifically verifiable and classifiable medical system. People from numerous countries came to Indian Ayurvedic schools to learn about this world medicine and the religious scriptures it sprang from. Learned men from China, Tibet, the Greeks, Romans, Egyptians, Afghanistanis, Persians, and more traveled to learn the complete wisdom and bring it back to their own countries. Ayurvedic texts were translated in Arabic and under physicians such as Avicenna and Razi Sempion, both of whom quoted Indian Ayurvedic texts, established Islamic medicine. This style became popular in Europe, and helped to form the foundation of the European tradition in medicine. In 16th Century Europe, Paracelsus, who is known as the father of modem Western medicine, practiced and propagated a system of medicine which borrowed heavily from Ayurveda. There are two main re-organizers of Ayurveda whose works are still existing in tact today - Charak and Sushrut. The third major treatise is called the Ashtanga Hridaya, which is a concise version of the works of Charak and Sushrut. Thus the three main Ayurvedic texts that are still used today are the Charak Samhita (compilation of the oldest book Atreya Samhita), Sushrut Samhita and the Ashtangha Hridaya Samhita. These books are believed to be over 1,200 years old. It is because these texts still contain the original and complete knowledge of this Ayurvedic world medicine, that Ayurveda is known today as the only complete medical system still in existence. 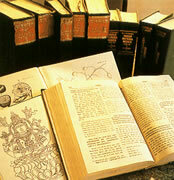 Other forms of medicine from various cultures, although parallel are missing parts of the original information.